We have Dealers and Installers In Several States. 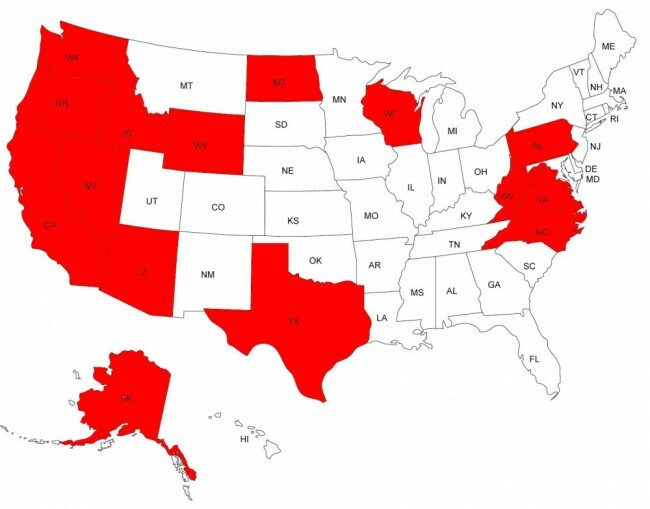 Please give us a call if you don't see your state highlighted. If you would like to become a Dealer or Installer please contact us for more information on our product and opportunities.